If you watch those shows on the Food Network or Cooking channel or whatever, you’re soon given a hundred recipes for BBQ rib rub and some “Old South” homemade BBQ sauce. Truth is…you don’t need all that. Those dudes are professionals and do this every day all year long…and even they don’t always place in competitions. You want good ribs to feed your guests (or tailgate)? Follow this simple little process and you get tender, fall-off-the-bone ribs every time. Your guests will absolutely gush over them…and you won’t have to spend hours regulating smoker temperatures or custom recipes for a sauce you can’t tell wasn’t in a bottle anyway. Grab a roaster with a lid. If you don’t have a covered roaster, a large cookie sheet will do just fine…you’ll just need some aluminum foil. 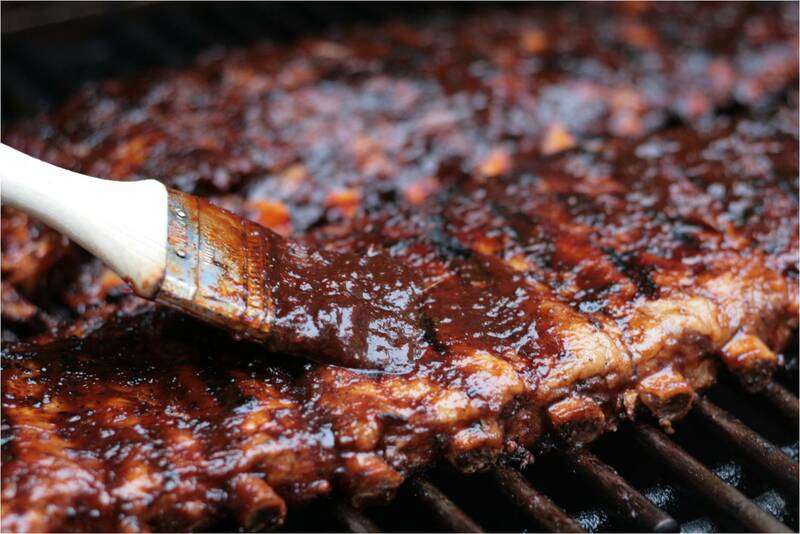 Pull the “silver” membrane off the back of your rack(s) of ribs. I like to cut the rack of ribs in half. It just makes for easier handling. You can find a thousand recipes for BBQ rub…or you can just go to the store and buy one. Listen, make it easy on yourself, buy one. Seriously, I’ve made rubs and I’ve bought them…you can’t tell the difference. Heck, even Aaron Franklin of the world-famous Franklin BBQ in Austin, Texas doesn’t sweat the rub. He just uses salt and pepper! So season if you want, or don’t. I usually just grab a BBQ rub off the shelf and sprinkle over the ribs. Place the ribs in your roasting pan or on a cookie sheet, cover (with aluminum foil if necessary) and roast in the oven at 300 degrees for 2.5 to 3 hours. If you want your ribs a little more firm, go with 2.5 hours. 3 makes them literally fall apart. Remove from the oven and LET THEM REST. Don’t take them to the grill right now. As a matter of fact, do this the night before and throw them in the fridge overnight. …and add a splash of bourbon. Yeah…bourbon. Stir that in and let the aroma sweeten your sinuses. Final step is to simply glaze these ribs and caramelize some sauce on ’em. Heat up your grill, throw the ribs on, baste with sauce…turn them a couple of times being careful NOT TO BURN THE SAUCE!!! Remove and serve. You’ll be the toast of your tailgate and nobody will disrespect your ribs!